Unfortunately, I don’t like donuts, but a certain anxiety came over me in wanting to know, what could the topic of discussion be? I could only think of one potential issue we were having. Could it be the unresolved failure of a cooling fan driver board for commercial aircraft? This issue was nearing 6 months, and we couldn’t reproduce a single failure in our lab. At this point, we were getting 8 to 10% failures every month – which is not good. It had become the focal point of entire company. Other Project Team Members were starting to question our abilities and losing confidence in our Team to solve this issue. The weekend had pasted and the moment of reality was here, Monday morning meeting time. All 8 members of the team were present. As I sat there looking around, there were donuts to be found. The conference room was neat and clean, the white board, projector, and phone were in there usual place. In walks the Project Manager apologizing for not having brought donuts because he had to drop off his daughter at school. He abruptly starts the meeting with, “As no progress has been made in the last 6 months on the cooling fan driver Board, the Director of Engineering wants to reinvent this team and some or all of you may not be working with this team starting next week. “I don’t know whether this means you will be with the company or not, Thanks guys.” Within 5 minutes the meeting was over. He left the conference room leaving the 8 of us to ourselves. As everyone went back to their desks to start job searching, I sat there struggling to digest the decision the Director of Engineering was taking. I decided to go to the lab where I saw two unknown Engineers standing over our test setup that were not familiar with this project. I introduced myself, and obviously they did as well. In the mean time before I arrived, they had moved the test setup fan, used to simulate air flow on the Board, to avoid the breeze blowing on them. They asked me to give an overview of the test setup and testing procedure, so I explained the setup and procedure step by step. Meanwhile the system was not powered, but I was seeing smoke coming from the Board. At a closer look, the cooling fan on the driver board was spinning, which didn’t make sense. I also noticed that the components on the Board were burned and looked similar to the field failures we were experiencing. I stepped back and asked the two engineers what they had changed. Their reply was, “we didn’t touch anything except for moving the setup test fan. I now understood the reason why the cooling fan was spinning while not powered. Adjacent to our setup fixture was another setup test fan, for another test, that was making our cooling fan on the driver board spin. In fraction of second, a series of thoughts passed thru my mind: back EMF protection in idle state or a requirement escape. I rushed back to my desk, composed a new email to the Project Manager and all Team members with subject – “Donuts resolved the issue”. 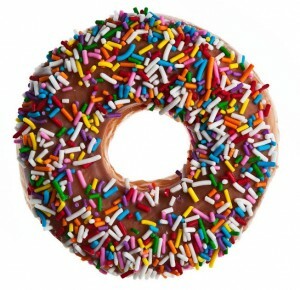 The message in the body of the E-mail stated – “If anyone wants to know the root cause, bring the donuts to my desk”. Within 20 minutes our Project Manager and the Director of Engineering walked in with a box a Donuts in hand and their faces expressed a certain calmness. The Moral of the Story? Be sure the requirements used for measuring reliability are complete.